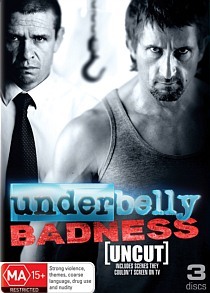 Underbelly Badness DVD. Underbelly Badness does have its pluses though, it’s still a good series, it does hold up to the previous series but that’s mainly due to Jonathan LaPagila. This all new Underbelly series detailing the real events from 2001 – 2012 of criminal mastermind Anthony Perish and his rise and fall from power. Anthony Perish, drug lord and criminal mastermind has been on a manhunt since the murder of his beloved grandparents and when Terry Falconer comes up as the prime suspect, he doesn’t take any chances and brutally murders him. Unfortunately for Perish he didn’t cover his tracks too well and sets off one of the biggest pursuits in Australian history. The Australian police force constructs a team called Task Force Tuno lead by Det. Insp. 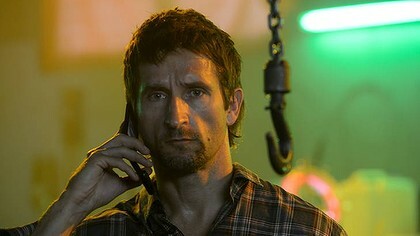 Gary Jubelin (Matt Nable) that promises to put away Anthony Perish before he can commit another crime. Filled with murder, intrigue, corruption and just your standard cops and robbers shoot outs Underbelly Badness takes a note from the original series and sets it back to contemporary times and fills our screens with character driven real life stories that might not be common knowledge throughout Australian audiences. This is the fifth season of Underbelly and it still stands as one of the greatest drama television series to come out of this country. However this season isn’t as fast paced as previous series in the Underbelly franchise. While there is a disturbing and somewhat gruesome murder in the first episode, it’s not until four episodes in that the show begins to pick up and for a TV series that only consists of eight episodes that’s a pretty tough seat to sit through. That’s another thing; the show is only 8 episodes. Underbelly usually consists of at least 10 episodes could channel nine or the producers been aware that the show wouldn’t have enough story lines to make the full series run, if so, why not just make it a one off movie length episode? Cut down the first few eps and ditch off others you would have easily made the movie length. 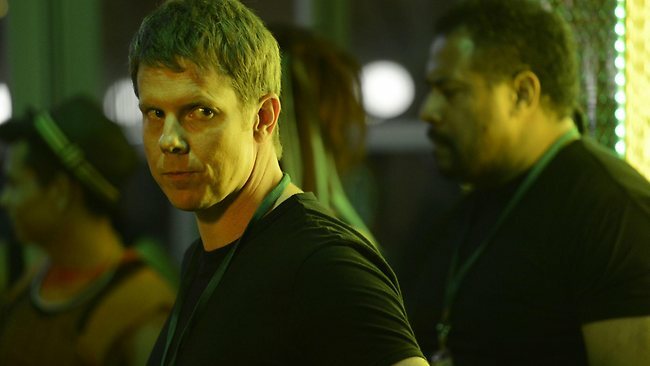 The series also loses any suspense between the main characters as the show opens up on Perish have already been caught, so you know where the show will end up. While I understand that it’s Australian history, and a lot of the shows audience will be aware of the outcome, I myself had no idea. While the story isn’t really there, the acting is beyond superb, each and every character shines on the show. Particularly LaPaglia, he just plays the perfect Perish, while he doesn’t really look too much like the real life perish, he just smashes it out of the ball park with his brutish and standoff persona. Five seasons in to the Underbelly series I’m surprised that they can still dig into the Australian acting pool. Surely they are at a point where they will start to reuse characters of just start taking people off the streets to fill the roles? Underbelly Badness does have its pluses though, it’s still a good series, it does hold up to the previous series but that’s mainly due to Jonathan LaPagila. He is a fierce force to be reckoned with and I’m sure we’ll be seeing more of him. Underbelly Badness on DVD doesn’t really have any quality Special Features besides a few deleted scenes that are so out of place on a separate disc. You’ll spend half a day trying to remember the right episode they fall into and cast interviews by the lesser known actors of the series such as Jodi Gordon, while leaving you with a lot of insight into how they developed their characters. It didn’t really give you enough to feel they were needed at all.